Create a buzz around your website with a content marketing strategy that will get you noticed and create a following. People go to the web for all sorts of things - Entertainment, Answers, News, Factoids, you name it. Google loves a website that is active and current rather than stagnant. Many businesses are so busy working in their business that they don't give any attention to their website or what it could do to build their business. That's great news for you! When you are constantly putting new and current information on the web you increase your authority with Google. With the right content marketing strategy you could find your website's article on a main stream media site. Interested in getting social with your business? 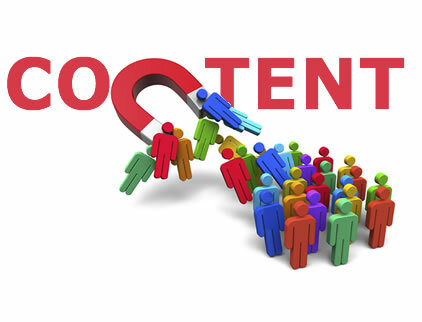 Content Marketing is essential for anybody that wants to have a successful social marketing campaign. Otherwise, you'll quickly run out of social topics and find yourself sharing someone else's content, which is simply building their brand!